To get to some of the places we like to go, we need a 4 wheel drive. Before our current car we had a troop carrier. The troopy was set up for two people to live semi self-sufficient for a short time. After our first child we made do with the troopy for a while, it was a bit of a squeeze. Once we were expecting our second child we knew that the troopy wasn’t going to work with only 3 seats. Our next challenge was to decide what to replace the troopy with. We chose a 2004 105 series Landcruiser. It had very minimal modifications, an 80 channel UHF radio with a broken aerial, larger tyres, a quality roof rack and some suspension work in the rear for towing. Basically a blank canvas. The 1st challenge was to free up the seized tow hitch. This turned out to be quite a job. The whole rear tow bar had to be removed which was a challenge in itself. Heat and a large sledgehammer were used in freeing up the tow hitch. Tip number one, remove your tow hitch regularly, or even better, leave it out until you need it. To get the UHF radio working again, all we needed was to fit a new aerial and run the coax cable through to the back of the unit, cheap and simple. Having this form of communication can make a trip in convoy a whole lot easier and enjoyable not to mention several other benefits. We fitted a second-hand cargo barrier off Gumtree to keep all the camping essentials safely in the back in case of an incident. Gumtree can be your best friend if building on a budget. Our 2″ Heavy Duty front springs also came from Gumtree, brand new, bargain. The next job was to fit and wire up the ARB air compressor from the troopy. We chose to fit it in a neat little compartment in the rear of the car. Free from mud and dust, it seemed like a good place to put it. Being able to inflate your tyres easily after going offroad can make the difference between trying a new track or just driving past. Our hose connection is at the rear of the car on the tow bar. This way the hose can reach the front tyres and the trailer if required. Being able to run a fridge for more than a few hours can make exploring a lot more comfortable, for us it was a priority. To do this you need an auxiliary battery, separate to the battery used to start your car. We fitted an ARB battery tray with a 105AH deep cycle lead acid battery. We used a Redarc Smart Solenoid to link the batteries when the car is running. We can now run a fridge for a couple of days without starting the car. We currently have two fridges, a Waeco 31 litre and an Engel 32 litre (kindly donated by a retired truckie). We manage to get by with this fridge capacity so far. We purchased some Pro-rack fittings to mount the Hi-lift jack and shovel (stolen from our Troopy) to mount to the roof rack. We needed to do some fabrication work to adapt the fittings to the Tracklander roof rack. Some people aren’t keen on the Hi-lift jack, but over the years we’ve had to use the hi-lift and our imagination to get out of some sticky situations. A shovel can be a handy tool for 4WDing recoveries, but we find it gets used mostly for when nature calls in the bush. Our next modification was a Snorkel, great for reducing dust and water going into the intake of your engine. This modification can be a little pricey, so it ended up further down the list. Water is vital for life, so when travelling remote you need to be confident you have a good supply of water. 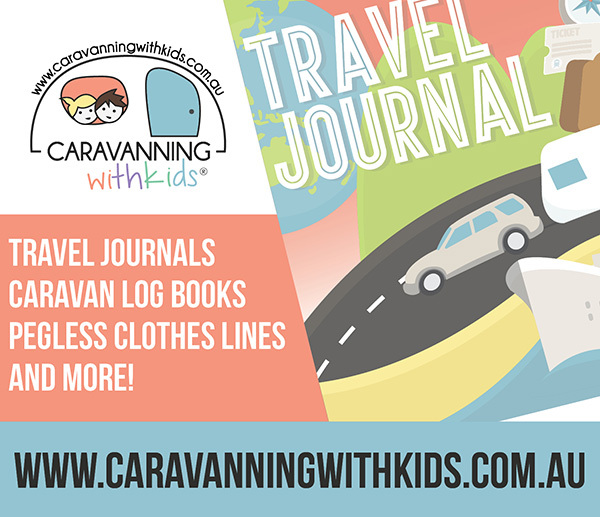 We have an 80-litre tank & jerry can storage on our camper trailer, but sometimes we travel without it. We decided on fitting a Boab 42litre slim tank. It fit well in the back of the car between the cargo barrier and the back seat. We purchased electric water pumps but in the end chose to use gravity as it is fairly simple and reliable. A piece of 12mm hose and a ball valve at the back of the car provides simple access to the water. It can be quite handy having on board water for even the smallest of day trips just to rinse your hands or top up a drink bottle. Awnings can be quite cheap these days, so we figured it was time to fit one. We often prepare lunch at the back of the car, this could be in the blazing sun or a rain. A lot of people tend to mount them on the side of their roof rack, we chose to mount ours on the rear to provide shelter mainly for that prep time. Tip number 2, awnings can be vulnerable to snags (branches) when driving down tight tracks. We fabricated a small piece of aluminium to deflect the snags away, hopefully saving the awning from being damaged. In preparation for doing The Holland Track, we realised the back of our car was usually an organised mess. This was going to be a challenge when you need to move camp and prepare 3 meals for a family each day, we needed a storage system. Drawers can get expensive and heavy. We’d heard of people making their own rear storage from Qubelok aluminium systems, it is light and cheap. Using 25mm square tube aluminium and plastic joiners you can make any shape you like, you just need access to a metal cutting saw to cut your lengths. Using some 2nd hand drawer rollers we planned our storage out, one fridge slide and one drawer. This way we could stack sleeping bags & pillows on top while retaining access to the fridge and food without fuss. The material used for the drawers were Qubelok tube & joiners, 12mm marine ply, other assorted aluminium extrusions, marine carpet and some light powder coated steel wire mesh. The end result was quite strong and light. The kids tested the drawer construction while it was on the ground by dancing and jumping on it. The mesh keeps the system light and allows the fridge to breathe but stops other items from falling behind. Modifying your car can be quite satisfying, especially when it works well. Sometimes products can get expensive, you just need to work on priorities rather than appearance. We found that you have to work in steps and think ahead to other planned mods to save buying something twice. The list is never-ending for modifications so when the budget allows, we work down the list. If you want to keep up with what is happening at Let Me Be Free you can follow on Instagram here and Facebook here.